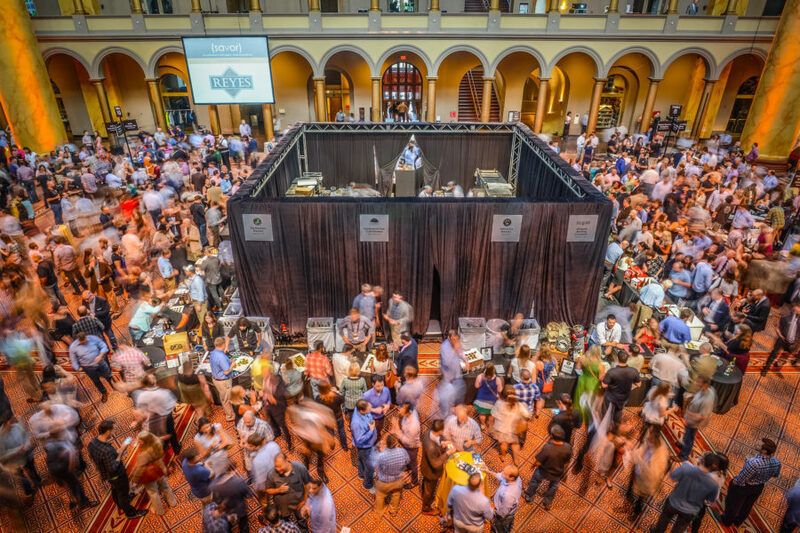 SAVOR Moves to One Night! 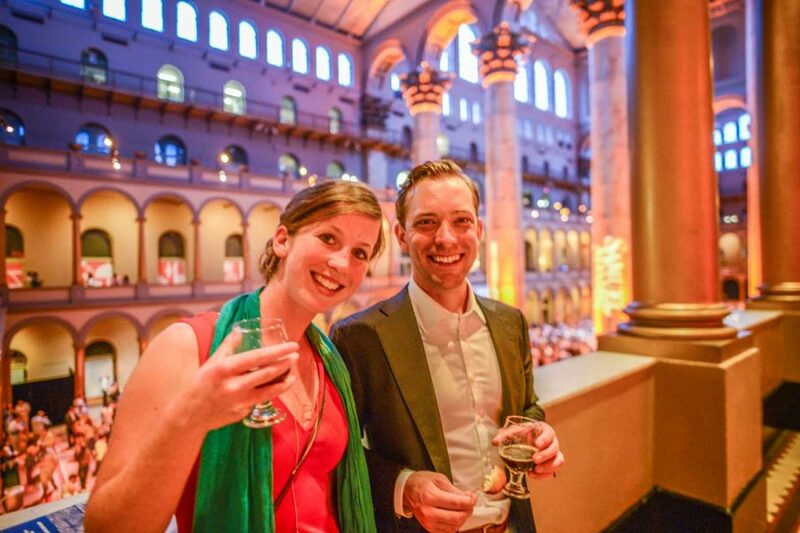 In 2019, SAVOR will take place for one night only—Friday, May 17. 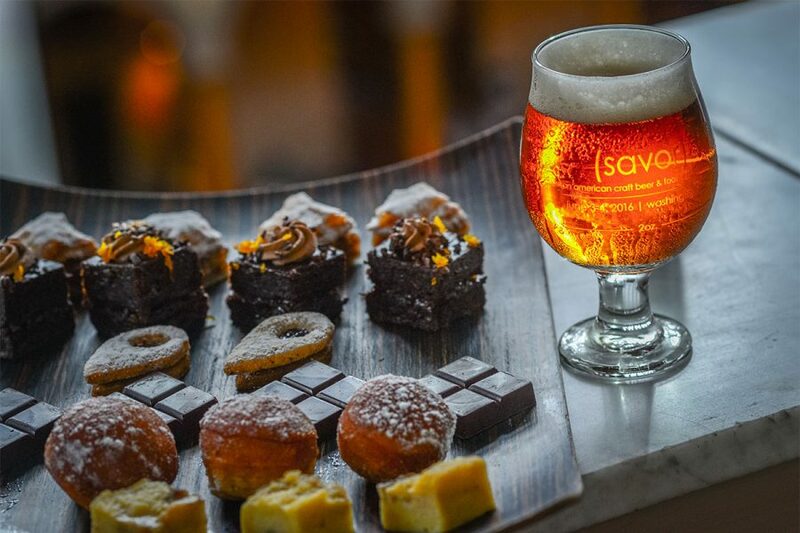 As always, SAVOR will bring the finest craft beer and small bites together for a delightful sensory experience. How does one SAVOR, exactly? It’s pretty easy. 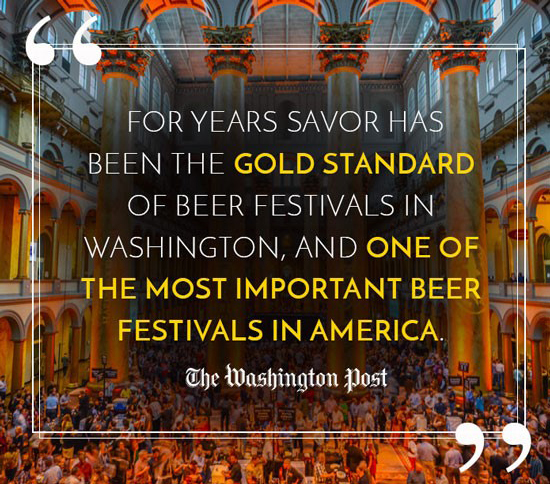 Here’s a quick guide to enjoying what the Washington Post describes as “the gold standard” of beer events. 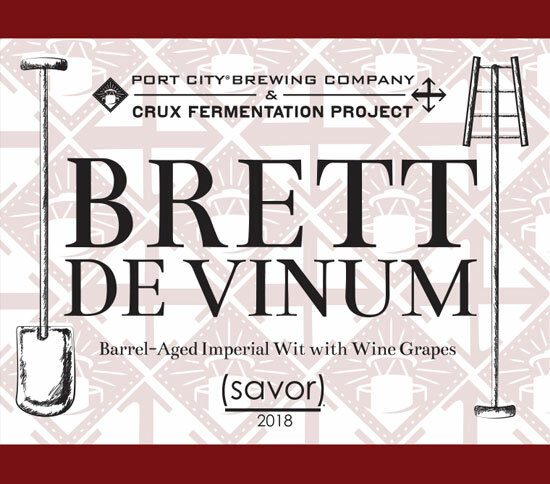 This year's collaboration beer and parting gift is a partnership between Port City Brewing Company and Crux Fermentation Project. 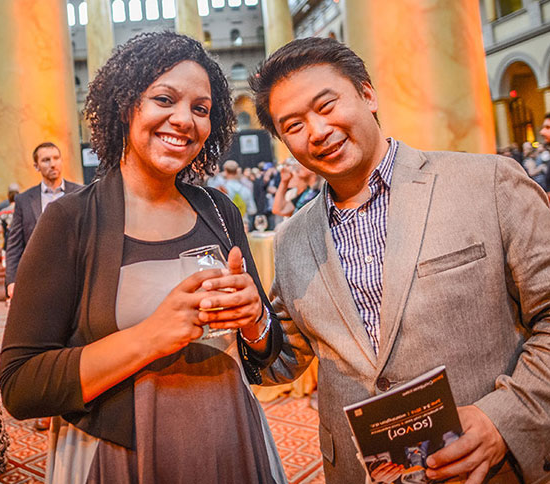 SAVOR tickets go on sale March 20 (pre-sale) and March 21 (public sale). Get ready! 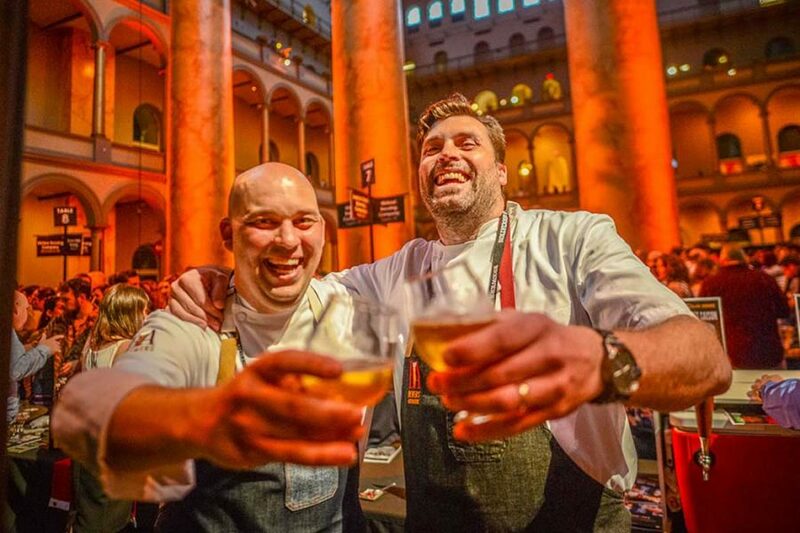 SAVOR: An American Craft Beer & Food Experience is considered the "gold standard" of beer and food pairing events in America. Find out why! 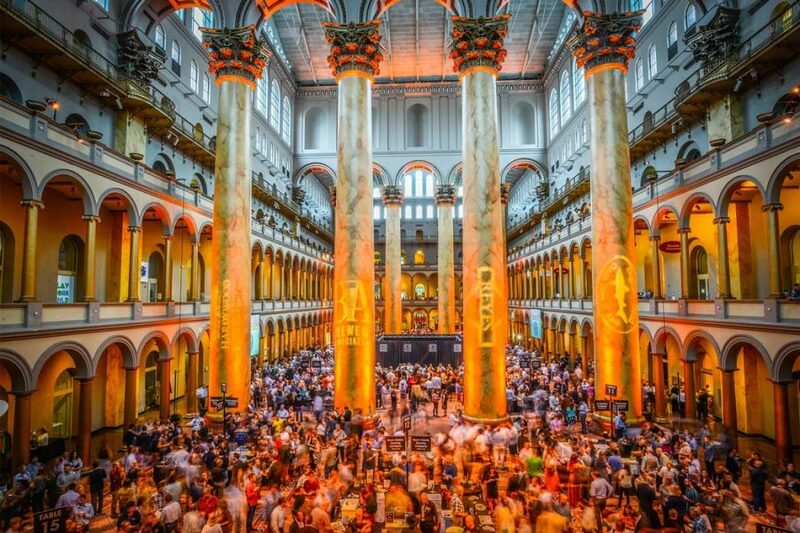 The Brewers Association announces exclusive SAVOR diamond tickets hidden around D.C., granting access to premier beer and food pairing event. 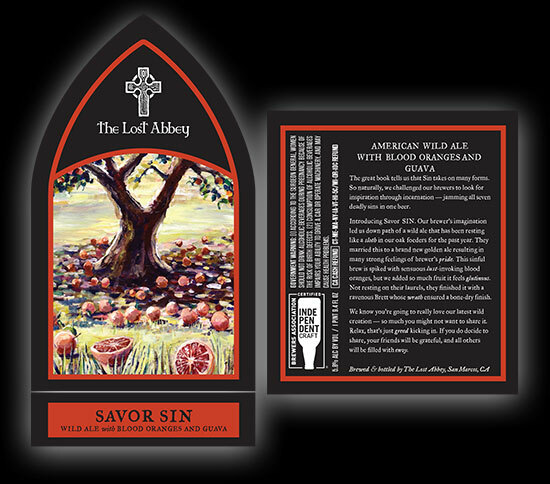 New in 2017, there will be a lot more to savor on the second floor! 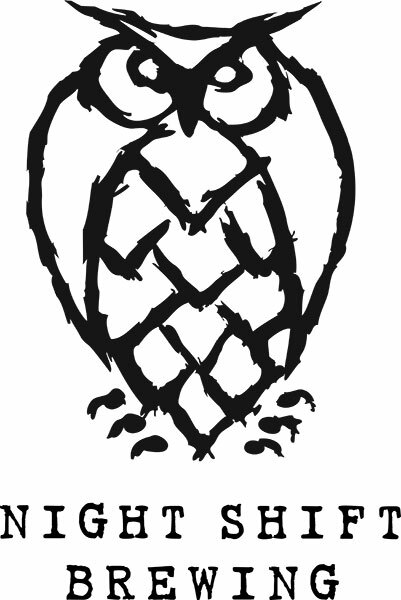 With no Salons this year, we have more real estate to work with, and we’ll be using the space to serve up even more deliciousness. 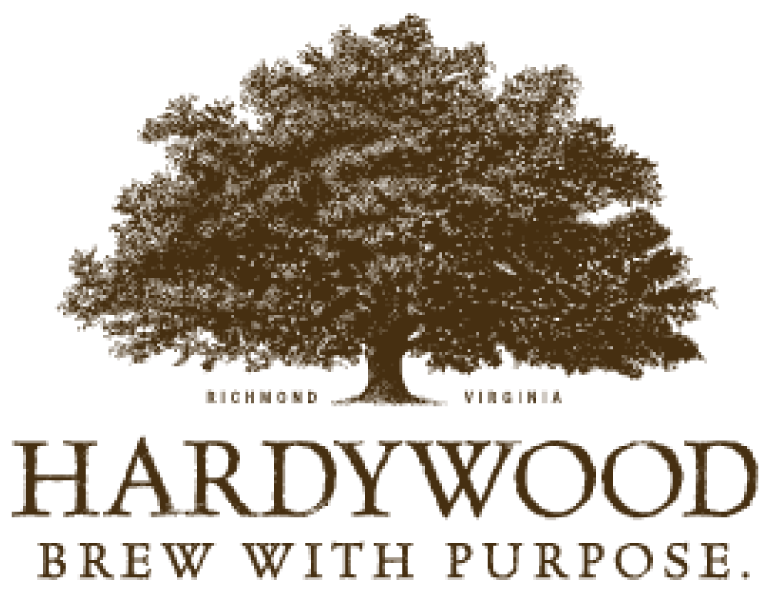 This year's beer (and parting gift to all SAVOR guests) is the result of a partnership between Virginia's Hardywood Park Craft Brewery and Colorado's New Belgium Brewing Company. 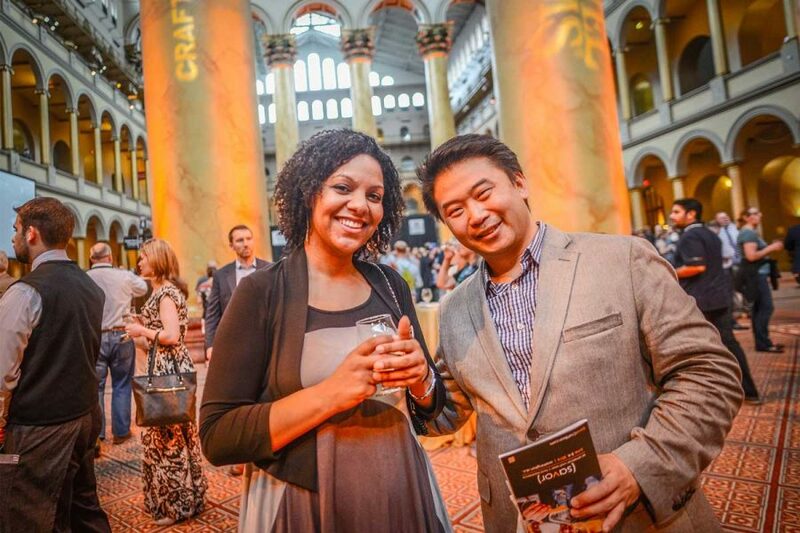 How do you plan for a complex beer and food tasting event like SAVOR? 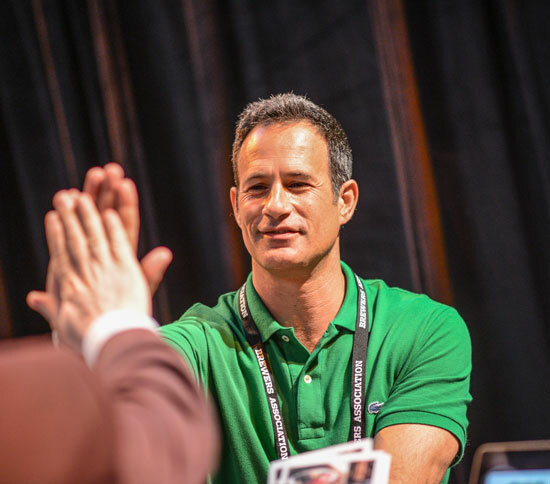 You tap the wisdom of the crowd! 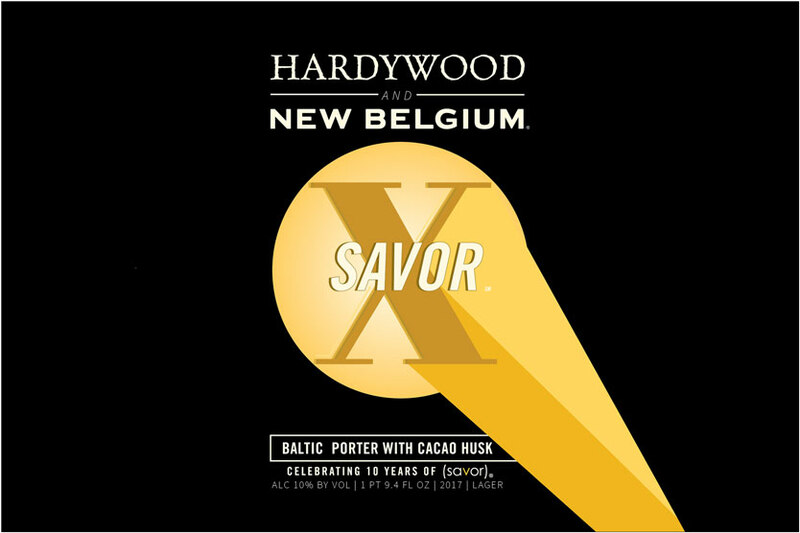 SAVOR turns 10 this year (time flies!) 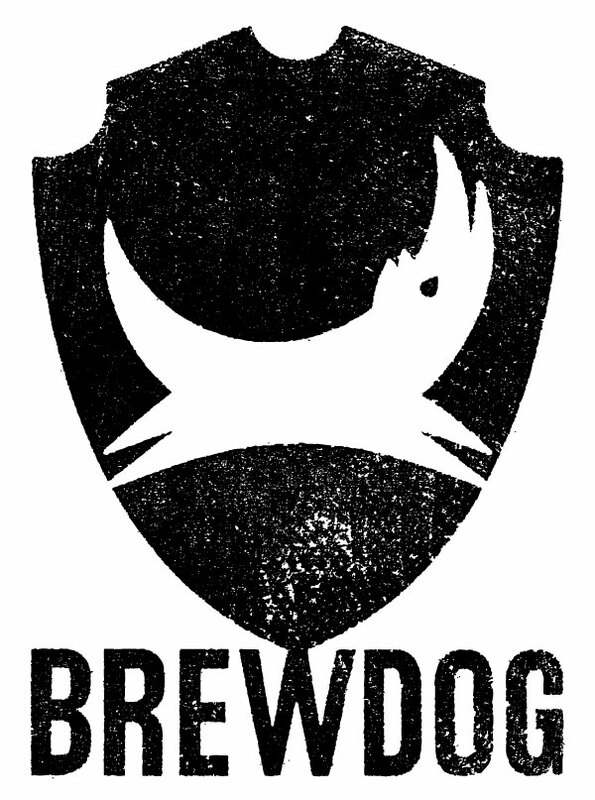 and we’re making some fun changes to celebrate this milestone. 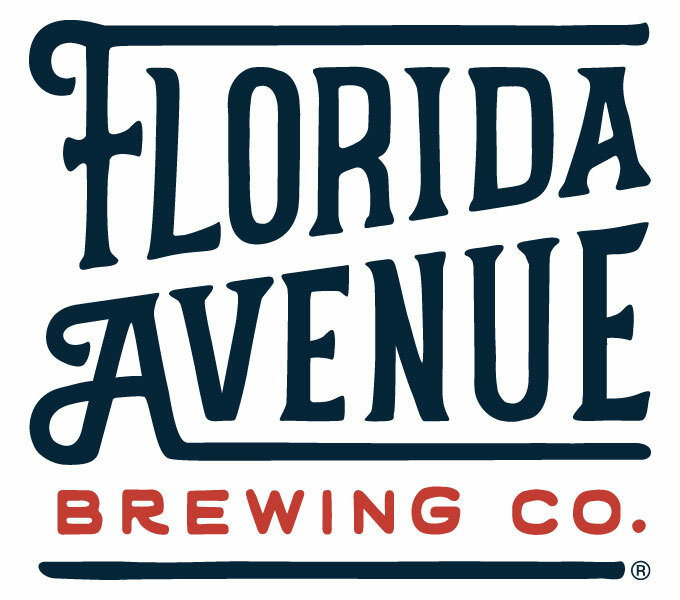 See what's new for 2017! 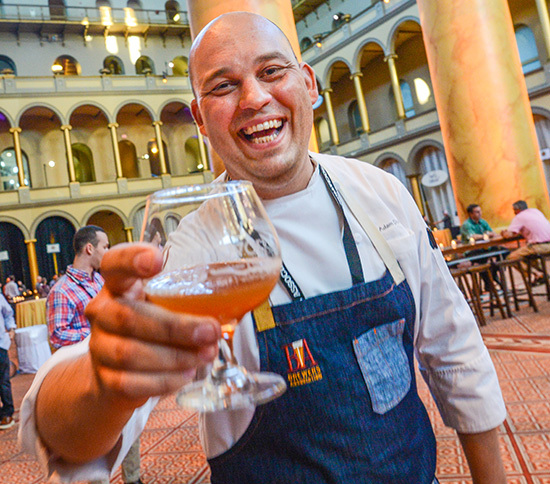 SAVOR tickets will be available for purchase during the member pre-sale on Tuesday, March 21, 2017. The public ticket sale will begin on Wednesday, March 22, 2017. 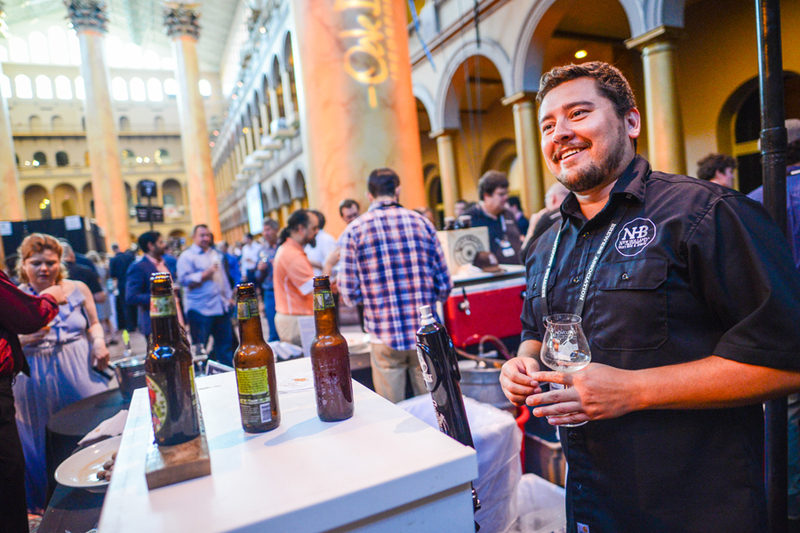 Now in its tenth year, SAVOR: An American Craft Beer & Food Experience will feature eighty-six small and independent breweries from across the country. 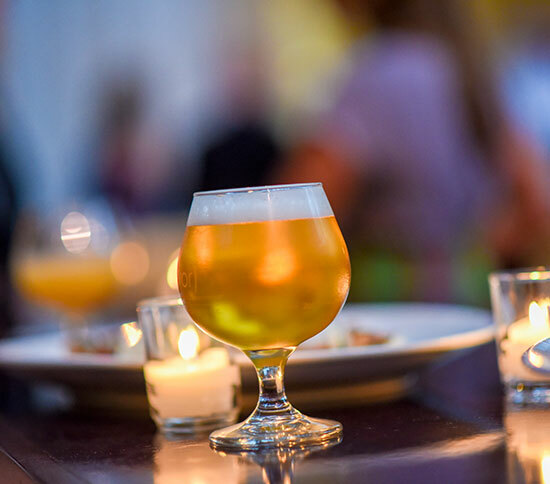 Start prepping your palate and take a look at these fun facts that help make SAVOR a unique craft beer and food pairing event.